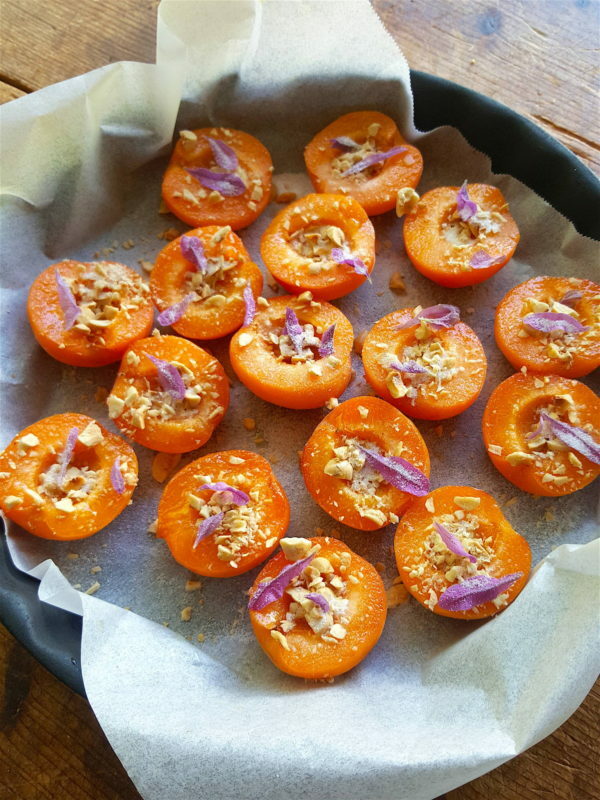 Baked apricots with hazelnuts & lavender petals – Yum! 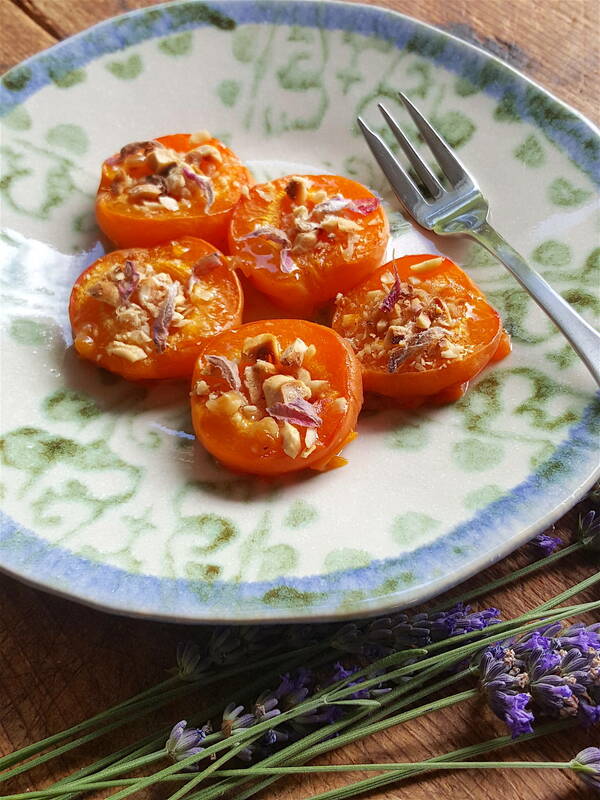 Make the most of apricots while they are in season. 1 Preheat oven to 220°C (425°F). Put apricots in a shallow ovenproof dish lined with baking paper (parchment paper). Rub the cut sides of the apricots with lemon juice. Pour wine around fruit. 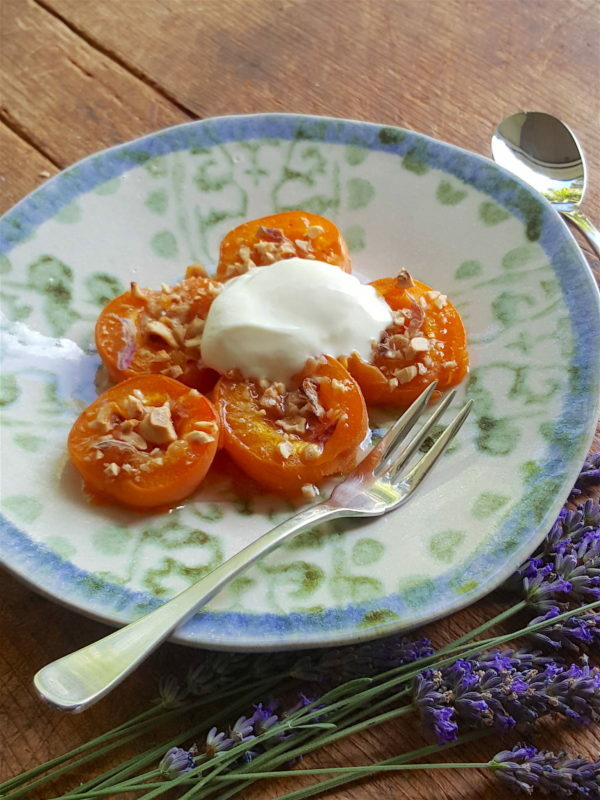 Distribute lavender petals and hazelnuts over the top of the apricots. Dust with caster sugar. 2 Bake apricots for about 15 minutes, until fruit is beautifully tender and nuts are taking on colour. Cool then serve with ice cream. Full of the scent of sun-warmed carnations, a scrape of orange peel and a sprinkle of spice ... Seedlip's come to town.